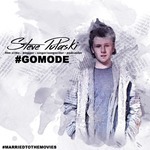 Subscribe to the Steve Pulaski Movie Review Newsletter! There was something exuberant and difficult to explain about the first time I heard Gary Numan's "Cars." There was something about its wavy, repetitive synths and Numan's robotic vocals that drew me in and made me want to listen to the entire song even if 85% of it was just the same instrumentation. It wound up being the song of summer 2013 for my friends and I as we navigated the season before our final year of college. It also helped draw me into other great tunes by Numan, such as the haunting and melancholic "Down in the Park" and the modernist funk sound that is "We are Glass." I fell off with Numan's current works, as he's transitioned more comfortably (or perhaps uncomfortably) into darker sounds, industrial rock, and hallmarks or Gothic art. I find his music in the 1980s unbelievably enjoyable and subversive, as well as his famous album The Pleasure Principle chock full of definitive examples of early techno-music and experimental pop. 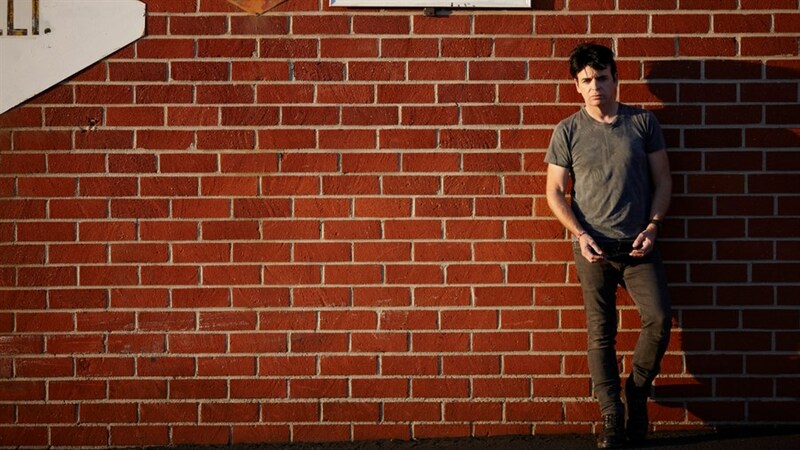 Gary Numan: Android in La La Land is a documentary that shows how less formidable and enjoyable recent years have been for the English new wave singer. Upon being diagnosed with Asperger's and experiencing a vicious bout of depression, Numan fell into a funk with releasing music that stalled a lot of his output in the 2000's and early 2010's. In Android in La La Land, we see his complex process behind creating original sounds in his music as well as personal struggles of trying to remain mentally stable while raising three lovely young girls. Gary's wife is Gemma O'Neill, an almost equally unique personality who was his biggest fan during his early days and then became his biggest confidant through marriage. She serves as his rock as Gary tries to regain his footing, turning not only his but their struggles as people, parents, and sufferers of disease and mental illness into art with his album Splinter (Songs from a Broken Mind), which was released in October 2013. The documentary follows Gary recording the album as well as punctuating the production with various sit-down interviews and candid moments with the singer. Instead of opting for reality TV-style voyeurism, directors Steve Read and Rob Alexander are smart to direct their energy towards capturing Gary in a level-headed, confessional manner. We get the feeling that Gary is not only consenting to what's being shown, but he's finally telling his story and struggles in a more revealing way than brief blurbs and speculative message boards ever could. Gary is a low-key personality, humble, soft-spoken, and very direct. He has a hard time maintaining an even-tone, however, when he reflects on all the negative press he got during his days with the band Tubeway Army and The Pleasure Principle. The early days in his career brought about a great deal of harsh reviews of not only him and his musical style, but his fan-base. Gary even turns unexpectedly vulgar when addressing critics who attacked him and his fans when all he was doing was making music that aided him and spoke to a great deal of people, another present divide between the way critics do their jobs and ultimately handicap or hurt the jobs of others by being too personal or combative. Android in La La Land is a tad all over the place. Part of it feels like a VH1 Behind the Music special, as a lot of these "a closer look at the artist behind your favorite song(s)" documentaries do, and part of it is a "making of" documentary revolving around Splinter. Read and Alexander mostly seem so arrested by Gary Numan himself that they'll follow him like lapdogs wherever he goes and wherever he does, capturing each moment. With that, there are certainly less-compelling individuals that would prompt less-compelling documentaries upon being faced with that approach. At worst, it just makes getting to the thesis of this proclaimed android and this creation of la la land that much more difficult and obscured. That doesn't subtract from Gary and the regard that he is a musical master, and someone I wish had more mainstream exposure whose songs I plead listeners and readers alike to analyze (start with "Down in the Park" and "We are Glass" and go from there). The filmmakers are smart not to do that job for us, as they would rather take intimate moments such as Gary reading a storybook to his daughter about a wayward soul in search of a place that's pertinent to his life as any story you could find, much less read to your child. Gary Numan: Android in La La Land gets lost in its subject, and that's a good thing, for the most part, as that lucidity translates to the audience quite nicely. Directed by: Steve Read and Rob Alexander. Official Date Opened: August 14, 2009.